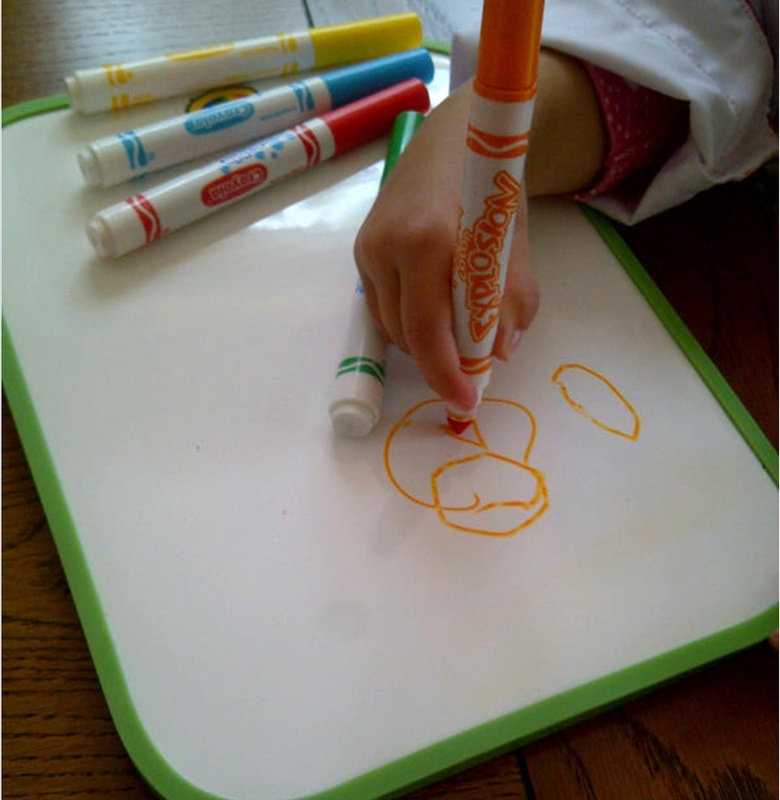 Dry Erase boards are great for practicing letters, learning math, and playing games like tic tac toe over and over again. Plus, they’re mess free! Unfortunately, small dry erase boards get lost easily and large ones can be expensive. Try these alternatives for some everyday around the house fun! 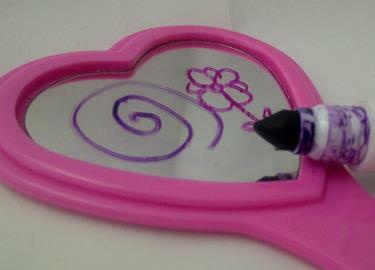 Did you know that dry erase markers work on mirrors? It’s a great place to write an important note about not forgetting lunch, an encouraging word for the first big game, but above all things, a mirror is the perfect surface upon which to draw silly faces! It’s the photo booth you’ve always dreamed of where you can be whatever you want to be without any props at all! Make a mustache, some curly hair, or even a top hat – the kids are sure to giggle the afternoon away! 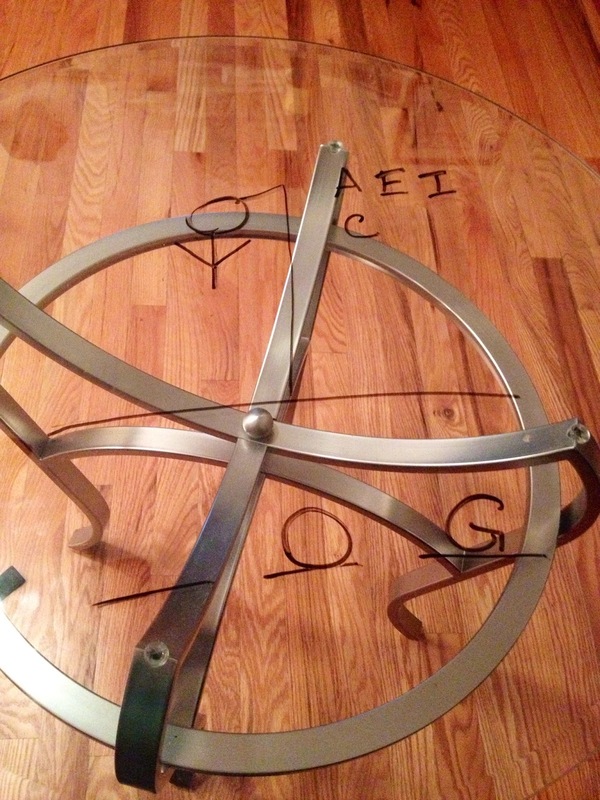 Glass works as a great dry erase board as well! Take to that big family room window with lots of colors and make a giant rainbow or write a secret message to a neighbor friend! Window already taken up with the morning’s masterpiece? No worries, try out the glass coffee table! It’s the perfect spot to play hangman with your charges on a rainy day. Take caution with this one as dry erase markers don’t work on every fridge. Make a small mark on an unseen part of the fridge in order to test yours out. If it comes off with the swipe of a finger, congratulations! You have found yet another surface on which to expand your charge’s imagination! The fridge is a great, large surface to practice things like difficult math problems for the older kids. It’s also a great surface on which to make a weekly calendar to make sure everyone is up to date on the week’s activities. Something changes? No problem! Just wipe it off and reschedule! Don’t forget to stop by next Wednesday for a fun project by Whitney Tang and to check out Nanny Magazine. Click here to take her Nanny Magazine survey for nannies.